Rick Yancey’s 5th Wave to Hit the Big Screen this January.. The first instalment in a trilogy, The 5th Wave , follows 16-year-old Cassie, (played by Chloë Grace Moretz in the film) one of Earth’s few survivors after an alien invasion decimates the human population. 5th Wave releases on January 14, 2016. Following the critically acclaimed global smash hit X-Men: Days of Future Past, director Bryan Singer returns with X-MEN: APOCALYPSE. Since the dawn of civilization, he was worshipped as a god. Apocalypse, the first and most powerful mutant from Marvel’s X-Men universe, amassed the powers of many other mutants, becoming immortal and invincible. Upon awakening after thousands of years, he is disillusioned with the world as he finds it and recruits a team of powerful mutants, including a disheartened Magneto (Michael Fassbender), to cleanse mankind and create a new world order, over which he will reign. As the fate of the Earth hangs in the balance, Raven (Jennifer Lawrence) with the help of Professor X (James McAvoy) must lead a team of young X-Men to stop their greatest nemesis and save mankind from complete destruction. Giffin’s first seven novels, have been translated into 31 languages with 11 million copies in print worldwide. Something Borrowed was adapted to the big screen in 2011 and starred Kate Hudson, Ginnifer Goodwin, and John Krasinski. 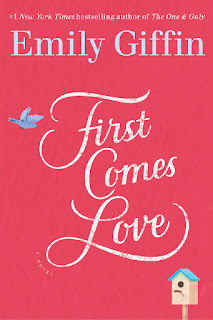 First Comes Love will be released June 16,2016. 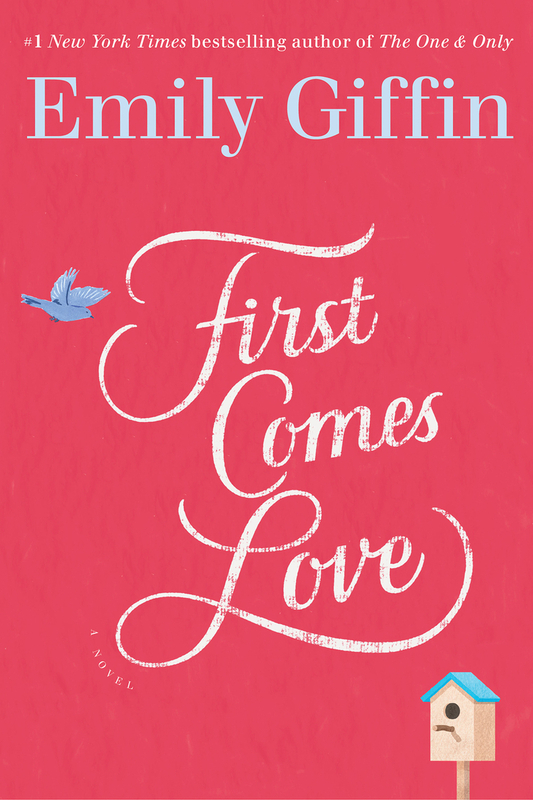 The book centers around a pair of thirtysomething sisters named Meredith and Josie, who both face the question: If love, marriage, and children don’t arrive in the usual order, which comes first? Meredith thought that she did everything right. She married the perfect man and raised a beautiful daughter. However, she can’t help but wonder if she got the “love” part wrong. Her sister, Josie, who is single and living with her best guy friend, desperately wants a family of her own but can’t find Mr. Perfect. The upcoming Netflix original series based on the internationally best-selling series of books, A Series of Unfortunate Events by Lemony Snicket,is currently in the making. A Series of Unfortunate Events recounts the tale of the orphaned children Violet, Klaus and Sunny Baudelaire at the hands of the villainous Count Olaf, as they face trials and tribulations, misfortunes, and an evil uncle in search of their fortune, all in their quest to uncover the secret of their parents’ death. The books have sold more than 65 million copies and have been translated into 43 languages. The epic series will be executive produced by Barry Sonnenfeld, who will also direct a number of episodes, and Daniel Handler, legal, literary and social representative for Lemony Snicket. Violet — Female, 11-14 years old. A young, not-too-mature 14-year-old. She is self-confident, capable and smart beyond her years. She helps her brother and sister solve problems with her skills as an inventor. She is the eldest and a natural leader of the group. Klaus — Male, 10-13 years old. He is the middle child in the family. He’s very smart and is a voracious reader. He loves books. He is charming. Auditions are open to anyone worldwide that fits the descriptions above. Those who wish to apply should visit www.lemonysnicketcasting.com and apply no later than January 15, 2016. The series is being produced by Take 5 Productions, Inc. and will shoot in Vancouver starting in early 2016. Book jacket folds out to a full-size poster! Young Adult Books to Read This December.. Imagine a world without books… In the future, books are a distant memory. The written word has been replaced by an ever-present stream of images known as Verity. In the controlling dominion of the United Vales of Fell, reading is obsolete and forbidden, and readers themselves do not cannot exist. But where others see images in the stream, teenager Noelle Hartley sees words. She s obsessed with what they mean, where they came from, and why they found her. Noelle s been keeping her dangerous fixation with words a secret, but on the night before her seventeenth birthday, a rare interruption in the stream leads her to a mysterious volume linked to an underworld of rebel book lovers known as the Nine of the Rising. With the help of the Risers and the beguiling boy Ledger, Noelle discovers that the words within her are precious clues to the books of the earlier time and as a child of their bookless age, she might be the world s last hope of bringing them back. Blood, Ink & Fire is a gripping, evocative tale that asks, who would we be without books? LOVE AND LOYALTY. As the youngest daughter of the House of Fane, Asa lives every day of her life in honor of both, for herself and her people. But as her kingdom’s food and energy crisis peaks, Asa must find more to fuel Fane’s survival. Romance, politics, and space adventure intersect in this first book of Tessa Elwood’s addictive debut duology. Not that there’s any evidence. But before Thomas got to Frederick there had only been one other murder in twenty years. The more they dig, the more it seems the only way they’ll hear the real story is from the source–the killer. The book set to be published in January 2017, will be a mixture of Winfrey’s own experiences and advice for the audience, she revealed in a press release. Sammy Hayes-Rodriguez and his “bro-bot” E are making new friends every day as E works as his bedridden sister Maddie’s school proxy. But disaster strikes when E malfunctions just in time to be upstaged by the super-cool new robot on the block–and loses his ability to help Maddie. Now it’s up to Sammy to figure out what’s wrong with E and save his family! The story of an extraordinary robot that signs up for an ordinary fifth grade class and changes elementary school forever is now in paperback! It’s never easy for Sammy Hayes-Rodriguez to fit in, so he’s dreading the day when his genius mom insists he bring her newest invention to school: a robot he calls E–for “Error”. E not only thinks he’s Sammy’s brother… he’s actually even nerdier than Sammy. Will E be Sammy’s one-way ticket to Loserville? Or will he prove to the world that it’s cool to be square?